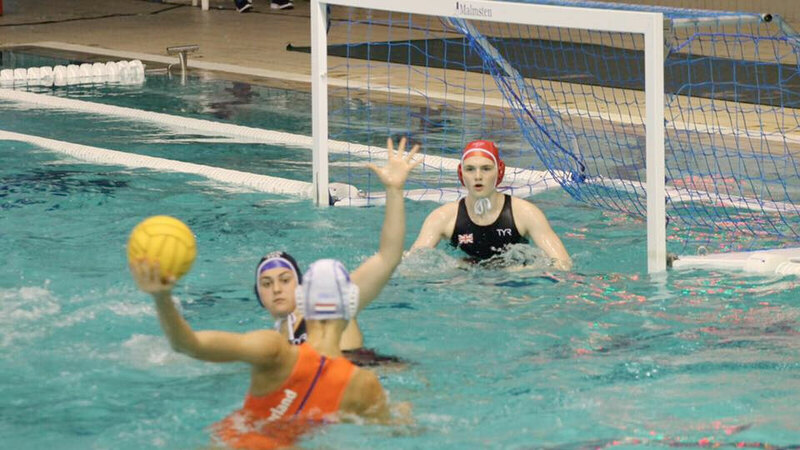 Great Britain’s women finished the group stage of the 2017 European Junior Championships with a battling defeat to the Netherlands in Novi Sad, Serbia. The Brits, already guaranteed a place in the round of 16, scored in every quarter of a 20-8 (4-1, 3-3, 5-2, 8-2) loss. The result sees Nick Hume’s U17 squad finish third in Group D, setting up a tie with Slovakia in tomorrow’s round of 16. After a two-goal defeat to Greece and a comfortable victory over Romania in their opening two matches, the Brits took plenty of confidence into their final group game. The Dutch, whose U19 squad won the women’s European Junior title 12 months ago, were also in high spirits and looking to complete a 100 per cent record in the group stage. Lieke Rogge opened the scoring for the Netherlands in the first minute, before British captain Annie Clapperton equalised with a penalty. However, the Dutch continued their charge as they added two more goals, then a fourth on man-up to finish the opening quarter. GB scored a power play themselves through Katy Cutler in the second quarter. Further goals from Molly Boniface-Ashton and Steph Whittaker saw the spoils shared at 3-3. The Brits continued to impress in the early stages of the third. Cutler and Clapperton scored their second goals of the game to pull the score back to 8-6. But the Dutch grabbed momentum as the third quarter drew to a close, establishing a 12-6 advantage ahead of the last eight minutes. Whittaker grabbed her second goal and Cutler completed her hat-trick in the fourth quarter. But there was no let up from the Netherlands’ attack as they piled on the pressure to reach 20 goals. The British squad will face Slovakia in tomorrow’s round of 16 with a place in the quarter finals at stake for the winners. GB played Slovakia in the group stage of last year’s European Junior Championships, with Clapperton scoring the winner in the last 10 seconds. Click here to view full results from the European Junior Water Polo Championships 2017.